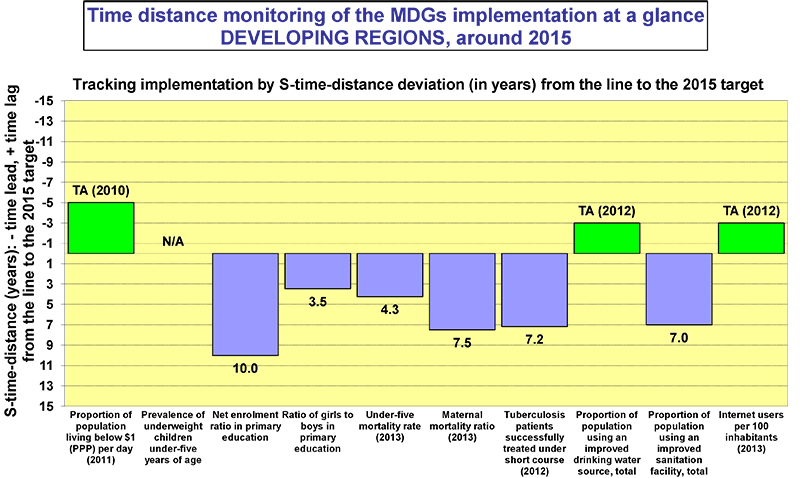 S-time-distance is a novel statistical measure providing new insights to many problems. Expressed in time units it is readily understood by policy makers, managers, media and general public, thus an excellent presentation and communication tool for policy analysis and debate. Professor Sicherl first provides an outline on the time distance methodology. There is a number of examples of application topics provided based on Eurostat and some other international data. A special attention is given to using the time distance method for graphical presentation of relevant statistical indicators.